It’s been a tricky few years for alcohol brands in the UK. The rise of the health-conscious millennials has firmly taken its hold. Gym memberships have gone up and alcohol sales are in decline. In fact, Millenials, on average spend almost a third less on alcohol than the rest of the population*. Combine this with the rise of ad fatigue in the millennial mindset – driven by high quantities of low value, digital wallpaper and interruptive advertising techniques – the modern consumer has become tired of brands telling them what to think, do and buy. All meaning that beverage brands are having to work much harder to convert sales in a challenging market place. At Pebble Studios, we believe that, in this cluttered digital landscape, to achieve true standout and connection, an audience must interact with content not just be a passive viewer. Experiences evoke the most emotion and create the longest lasting memories with today’s tech-enabled audience and that’s why brands must focus on the fan first, creating content experiences that inspire, captivate and spark conversation. We have been lucky enough to work with a number of Global brands within the Drinks Industry across film, animation and Virtual Reality and we wanted to take this opportunity to share with you some of our favourite experiences. 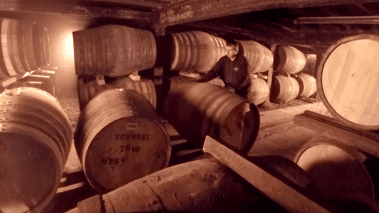 The distinct taste of a whisky is created by the environment in which it is distilled. As Islay’s first whiskey distillery, Bowmore pioneered the production of Scotch on this wet, wild and harsh Scottish Island. As the popularity of Scotch Whisky has risen over the years, Bowmore now has a global fanbase enjoying the product of this extreme environment. With an upcoming partnership with Airport Duty Frees – Bowmore’s agency, Bight Signals, approached Pebble Studios to create an experience that would bring the brand to life, driving engagement and sales beyond price promotions and POS. As avid whisky drinkers ourselves at Pebble Studios, we know that the more you appreciate and immerse yourself in the brand, the more enjoyment you derive from the drink. So we set about giving Bowmore’s audience the opportunity to experience the oldest distillery on Islay like never before, without leaving the airport lounge. By utilising state of the art Drone, Wire and Rover camera equipment and the impressive Samsung Gear VR headset we created the brands first Virtual Reality experience. Transporting their audience from the duty-free to the rugged Isle of Islay, connecting them on a deeper level with the brand, it’s history and the production process via live-action film, graphic overlays, interactive hotspots and the power of VR technology. Once heralded as one of the quirkiest of Gin Brands, Hendrick’s has faced stiff competition from emerging start-up and craft Gin companies in recent years. They needed to get back to their peculiar ways and engage with their fans to drive conversation and ultimately sales. Through analysing data and social habits of their target audience they found that a large number of their fans spent a huge amount of time travelling and a large proportion of that time tweeting about the terrible experiences on their transport. And so Pebble Studios was bought on board by creative agency, Gravity Thinking, to produce the Hendrick’s Gin ‘Ministry of Marginally Superior Transport’. We filmed 2 marvellously eccentric launch films for the brand encouraging their fan base to tweet @hendricksginuk with their plea’s for help. We would then create reactive video responses offering advice and weird and wonderful inventions to help with their commute. For the campaign we created over 120 reactive videos, driving an unprecedented and KPI smashing growth in Hendrick’s Twitter account and the brand’s channel had over 5.5m views. Carlsberg had recently undergone a major update for their business, rebranding their hero beer to Carlsberg Pilsner. A premium lager that used the original brewing recipe from its founders. Life agency was bought on board to assist in the rebrand and to organise a high-end launch event for key B2B customers at the Carlsberg Brewery in Copenhagen. This event showcased the challenges and opportunities for the brand, their company values and goals for the future and finally, the brand new beer and branding. But with so many important customers to meet and impress it was not viable to invite them all to Copenhagen for the first-hand experience – how could they impact this wider audience and convince them to buy the new beer in a sales meeting environment? 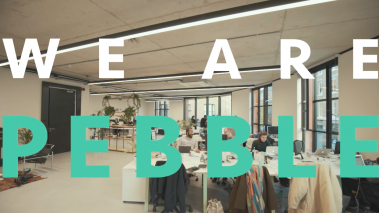 Pebble Studios were initially bought on board to produce a 360-degree walkthrough of the physical event space for their wider audience. But we wanted to do so much more than this. Whilst there were some fantastic elements we could film for our experience, in Virtual Reality you are not constrained by the normal rules of physics, so we proposed transporting the viewer into the brand world of Carlsberg bringing the environments and values of Carlsberg to life around them, engaging and inspiring them is probably the best sales meeting in the world. Combining live action 360, motion graphics and visual effects we created a curated VR sales meeting for Carlsberg sales reps to use in their meetings. 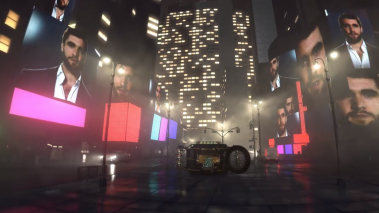 By creating a bespoke VR app, we improved intuitiveness, effectiveness and user experience allowing for Q&A’s to be held mid experience and even the perfect beer reveal that crossed over from the Virtual into the real world. So if you’re looking to stand out from the crowd and create content experiences that inspire and captivate your audience, or if you would simply like to hear more, please get in touch.